Home > video > Super Light Nissan GT-R in Two Years? Fast Lane Daily- snowed in edition – is reporting that there will be a super light edition of the Nissan GT-R at the end of its life cycle in two years. Are they talking about a GT-R Evolution? 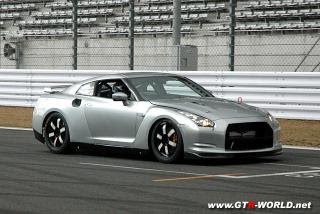 I don't think its likely that the Nissan GT-R will be at the end of its life cycle in two years. The DBA is getting set to release in 2012. The CBA was sold as a 2009-2011 model. The previous cars, the R32, R33, R34 GT-R were sold from 1989-2002, with a similar driveline. I would expect to maybe see something along the lines of the Z34-370Z. Maybe a little smaller car, a little more displacement. Maybe direct injection? If they went to direct injection, could we expect to see 560-575 hp? The 2012 car is going to be rated at 530 hp. Maybe a 7 speed transmission?